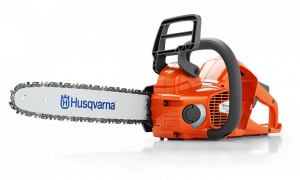 The Husqvarna 115iHD55B Hedge trimmer is easy to use, easy to handle – and quiet enough for seasonal use in residential areas. 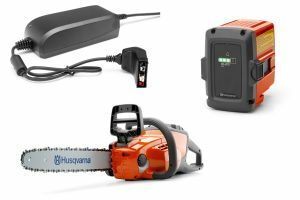 Comfortable and durable, it offers powerful performance with no direct emissions. 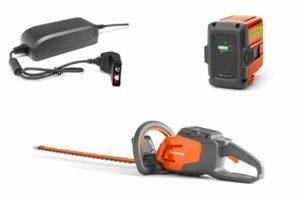 Safe, convenient starting via the intuitive keypad, efficient brushless motor with savE™ function for extra runtime and long-lasting Li-ion battery make it a great choice for homeowners. 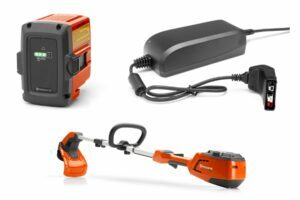 The Husqvarna 136LiL battery powered grass trimmer is lightweight, comfortable and easy to use battery powered grass trimmer. 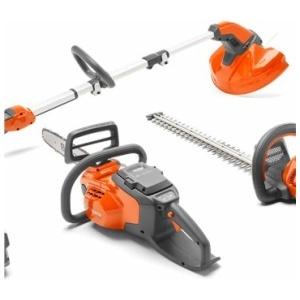 Perfect for trimming lawn edges or smaller areas of higher, tougher grass or weed. The intuitive keypad and instant start contribute to fast and trouble free handling. The low noise level allows you to work without disturbing your neighbors. 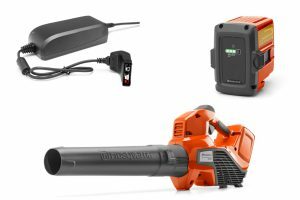 Thanks to efficient electric motors with sAVE™ mode and 40V lithium-ion battery, the weed trimmer is totally free from starter cord, smoky exhausts, and maintenance needs. Battery and charger not included. 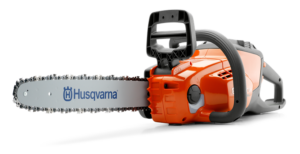 For professionally oriented users who want a lightweight, high performance, lithium-ion battery powered chainsaw.